Haunted by events from her childhood, Madeline Linville chooses to live a secluded life in her remote coastal home. That is, until a man from her past reappears and challenges her to confront her fears and begin living life. After the death of his father, Samuel Warren returns home to assume the responsibility of his family’s home, Bell Bennier. But, nothing could have ever prepared him for what he was about to face. This story threads through the generations, binding the lives of the people of Bell Forest with the unbreakable bonds of love and self-sacrifice. 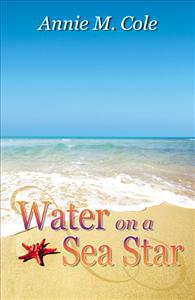 Water on a Sea Star is the captivating story of how a charming group of people have their lives weaved together. Taking place on the beautiful Alabama coast, it is the perfect summer read! The rich history of the setting of Bell Forest will have you wanting to pack up the car for a visit. I found myself relating to the main character, Madeline, as she experiences similar everyday issues. With self-sacrificing love being the undertone of this novel, the author did a fantastic job putting love and life into perspective.